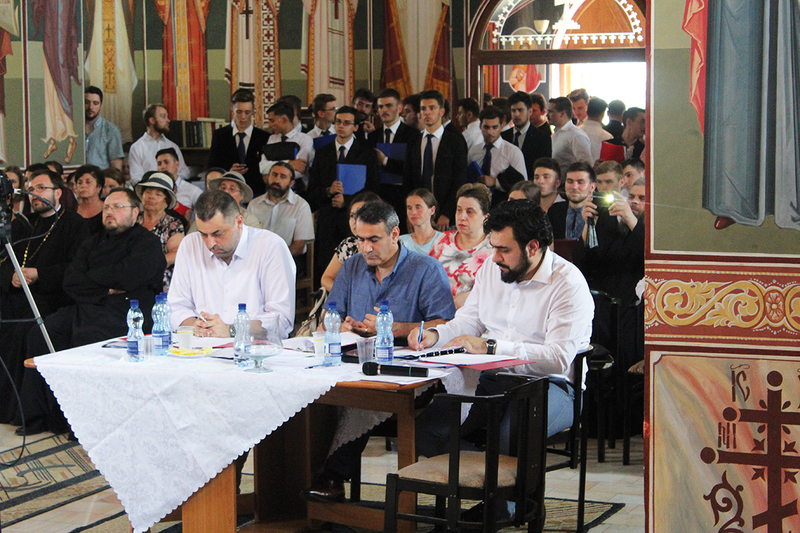 The Gavriil Musicescu International Youth Choir Festival and Contest (1-7 July 2016) once again quenched the thirst for vocal harmonies in Iași, the old cultural capital of Romania, which lies in the Eastern region of the country. 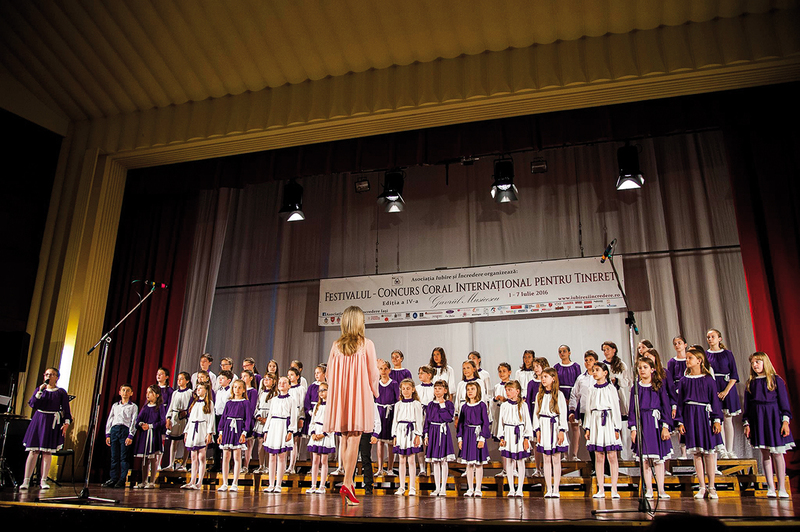 With more than 350.000 inhabitants and a musical conservatoire with a history of more than 165 years, in 2013 the Moldavian town was finally able to set up a choral festival, which grew fairly quickly, reaching more than 1000 singers this year at the 4th edition from about 30 choirs – four being guests of honour and the rest participating in the five categories of the contest: children choirs – section called Cantus Mundi, music schools – both secular and religious (seminaries), music universities and faculties of theology, young amateur choirs, young choirs of psalt music. The organisers are the Iubire și Încredere (Love and Trust) Association, fully and brightly supported by the Metropolitan Church of Moldova and Bucovina, the town administration, both local and governmental, in other words the County Council and the City Hall, Madrigal and Byzantine Choirs, important institutions in the town which offered locations for the concerts and contest: Binecredinciosul Voievod Ștefan cel Mare și Sfânt and Sf. Sava churches, Palas Mall, the Central Mihai Eminescu (BCU) University Library, the Students Culture House; other partners were the Solidaritate și Speranță Foundation, the Cantus Mundi Association, the Romanian Cultural Institute, the Iași Writers Union, the George Enescu University of Arts (UAGE), the Doxologia Printing House and many others. Besides the media partners, promotion evolved this year, as every concert was transmitted live online and can still be watched on the page of the association https://www.youtube.com/channel/UCFA7XKoV5oJQ7eiHr0sttkw. However, free admission to concerts and the most attractive locations, such as the Palas Gardens, the Eminescu Library Auditorium, or the Palace of Culture, gathered hundreds of listeners in halls and over 2000 in the open air, even in the evening when rain might have sent everyone home. With the Musicescu Festival, Iași has set itself apart, a prestigious event with a good organisational and artistic level. A diverse range of groups and generally well-chosen repertoires were judged by commissions with a total of 13 members mostly from the academic level, their decisions having full discernment, probity, loyalty to this noble art and full professionalism as expected by the organisers, all being animated by the will to attract a continuously wider audience to the art of choral music. In this country where communist choirs almost managed to remove the joy of listening, this recovery (that should have been done long ago in the ‘90s), are the most welcome blessing and a hope that future children will grow with the many benefits of choral singing. Participants came from the Republic of Moldova, Ukraine and Romania, proving that this international event still stays somehow transregional, but in any case nobody intended to compete with huge choral events that exist in the world today. 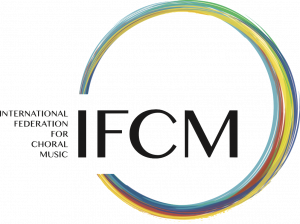 The challenge for the Musicescu Festival remains promoting the participation in the future of choirs from the same country, whose absence is not due to the lack of promotional efforts by organisers. It is mainly due to the lack of financial support or to lack of good travel conditions as the Carpathian Mountains have not yet been crossed by the long-discussed motorways, on which enormous amounts have already been spent over many years, without the expected results. In this light, it was not a surprise that the possible sensations of the festival, such as the Student Choir of the North University in China, a Syrian psalt or a choir from the University of Medicine in Ternopol, Ukraine did not manage to come. But surprises were not lacking and I will try to tell you about some of the revelations of the present edition. 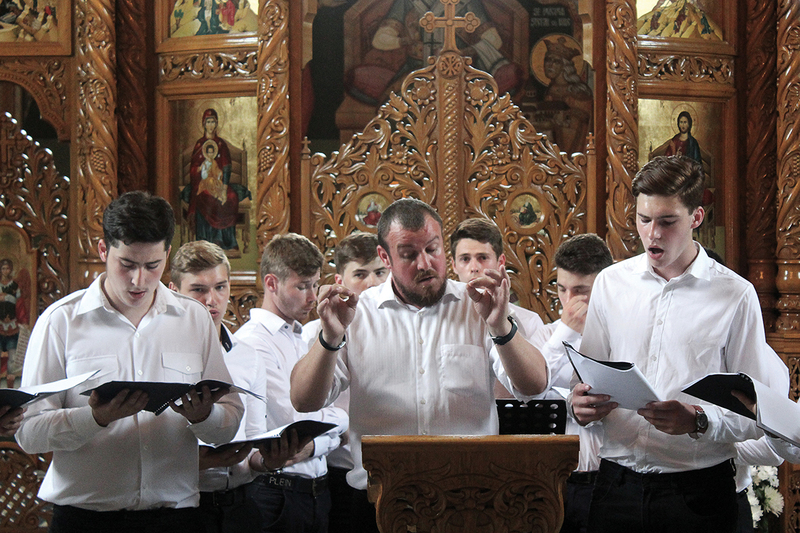 The Greek conductor Antonios Aetopoulos, member of the Byzantine Greek Choir in Athens, was invited to be on the commission of the psalt music, together with the associate professor from the National University of Music in Bucharest (UNMB), Nicolae Gheorghiță and Adrian Sârbu, PhD student of UAGE Iași. “Psalt music is prayer, art and science together… this contest is not a standard one, as it aims to complete us as a family,” stated Adrian Sârbu, who was also the organiser of an event that doubles the festival, the Masterclass of Byzantine Singing (9th edition), in which all the members of the above board were invited. 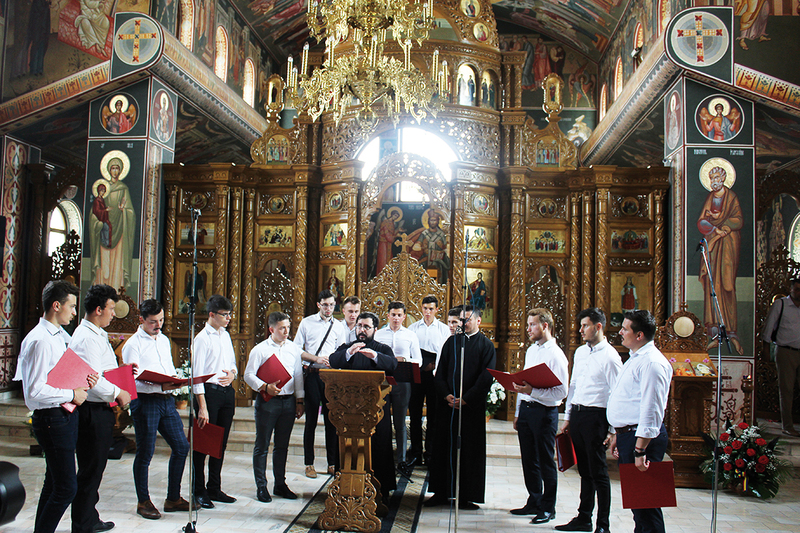 The first prize of this section was awarded to the Vlach-Byzantine Choir of the Archdiocese of Buzău, conducted by Archimandrite Constantin Stoica. All the first prizes recipients were invited in the Festival Gala, July 7 in the beautiful Vasile Alecsandri National Theatre, while after each contest category all the contestants had concerts in churches, outdoors or in other halls of the town. One of the freshest revelations were the children choirs, not many in number, but worth listening to. 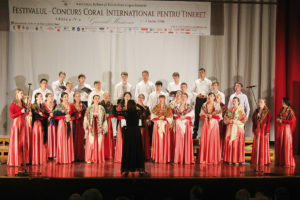 The First Prize in the amateur subcategory went to the Angeli Children Choir from the Angeli Music Association in Iași, which in just eight months of activity was able to prepare quite a repertoire and to put up a nice lively sound, with their spontaneous singing throughout the body and sounding remarkably homogeneous in songs such as the Rhythm of Life by Cy Coleman, the conductor being Mirela Palamariu, a young singer from the Gavriil Musicescu Academic Choir of the Iași Philharmonic. 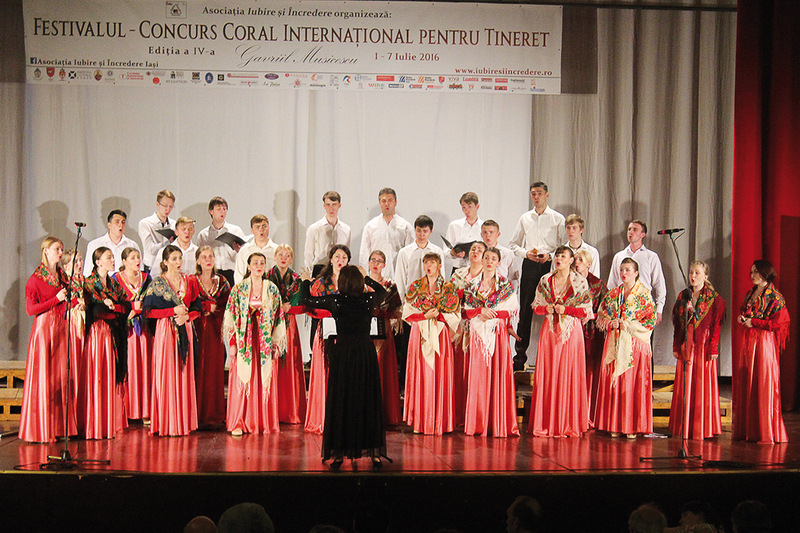 In the professional subcategory, first prize went to Solo Musica Choir from Odessa, Ukraine, conductor Ievgeniia Bondar, the choir being founded in a school attached to the local conservatoire and designed to fit the students. The concert after the contest was held together with the National Chamber Choir Madrigal, under the baton of inspiring Anna Ungureanu, who also does tremendous work in the Cantus Mundi national programme for children’s choirs. Unfortunately, their evening in front of the spectaculars Palace of Culture was the only stormy and cold one in the entire week. The commissions for high schools, universities and young amateur choirs, were formed by local, national and international personalities in choral music: professor PhD Nicolae Gîscă from UAGE Iași; professor PhD Ioan Golcea from UNMB (vice president of the Madrigal Foundation and former student of the Madrigal founder, Marin Constantin); Dr. Andrea Angelini from the International Federation of Choral Music Italy; Professor Mstislav Yurcenco from the University of Music in Kyiv, Ukraine; conductor Adrian Ardeleanu from the County Centre for the Preservation and Promotion of Traditional Culture Iași; and associate professor George Dimitriu from UAGE Iași. In the final Concert Gala we listened to the first prize choirs in two of these categories: the Resonance Choir form the Iurie Fedcovici Chernivtsi National University, Ukraine, conductor Olha Churikova-Kushn; and the Student Choir of the National Technical University of Kyiv, Ukraine, conductor Ruslan Bondar. Both focused mostly on their national repertoire. Regarding this aspect, in an interview for the national radio station in Iași, Mr. Andrea Angelini expressed the wish that the repertoire become more international, but stressed that deficiencies in the choice of repertoire have not led to lower scores on judging. 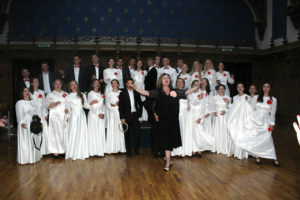 Another revelation of this edition of the Musicescu Festival was the Academic Chamber Choir of the Chernivtsi Philharmonic, conducted by Nadia Seleznyova, invited together with other Ukrainian choirs to a concert on July 5 in the Palace of Culture, on the stage of the beautiful Henri Coandă hall, full of wooden sculptures of angels hanging from the ceiling. 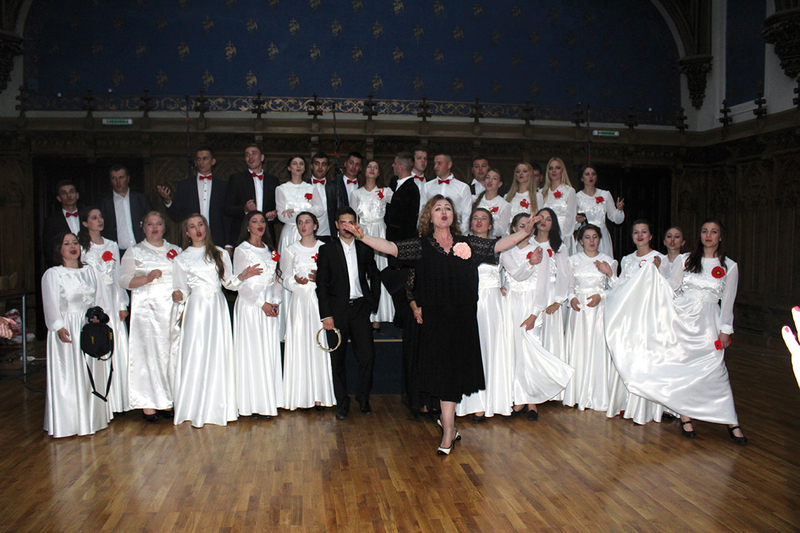 In an interview for the same Radio Iași, Mrs. Seleznyova revealed some of the secrets of the high class performing of this chorus: founded in 1993, it is composed of singers who can tackle any kind of voice, from the special Ukrainian folklore open vocal emission to classical or jazz, which is an incredible task for any chorister, isn’t it? But Mrs. Seleznyova is a graduate of two faculties at the Conservatory of Chernivtsi, choral conducting and singing, then she studied with great representative of the choral Russian school, professor Eleonora Vinogradova, at the Tchaikovsky Academy in Kyiv specialising in children choirs (Ms. Vinogradova being conductor of the Boys Choir of Kyiv). After these studies, Nadia Seleznyova also graduated from the faculty of opera directing of the same academy, and between her achievements she mentioned international projects such as Days of Chinese Culture in Kyiv, opera regia of The Bell by Donizetti at the Opera Studio of the Conservatory, tours as soloist with the Kyiv Chamber Orchestra and being a singer in the Khreschatyk Choir of Kyiv, for six years. With all this experience, she was invited to form and lead the new chamber choir of the Chernivtsi Philharmonic. The results reveal her artistry, talent and ambition. At the final Gala we were able to listen to this choir again, together with other special guests: the Ark Psaltic Choir of the Archdiocese of Iași, conductor Archimandrite Ciprian Rusu; the Bucharest Radio Children’s Choir, conductor Voicu Popescu, a brilliant personality for our choral music, jury member in international festivals, present with this choir at many big international events; the Tronos Choir of the Patriarchal Cathedral in Bucharest, conductor Archdeacon Protopsalt Michael Bucă; and the Orthodox Armonia Men’s Choir of the Tomis’ Archdiocese, conductor Ion Iulian Dumitru (recipients of a Gold Medal for folklore in the World Choral Games in Cincinnati, Ohio, 2012). The Gala, like all the contest categories, was presented by the charming artistic director of the Musicescu Festival, Daniela Doroșincă and the Romanian Television representative Cătălin Sava in a wonderful show with lots of distinguished officials invited to offer the prizes. With a huge choral singing experience as a member of the Iași Philharmonic Gavriil Musicescu Academic Choir, a PhD in choral music and being herself a children’s choir conductor, Daniela Doroșincă, together with her husband, priest Mihai Doroșincă, from the Binecredinciosul Voievod Ștefan cel Mare și Sfânt Church, managed again to solidify a wonderful team of volunteers from the Iubire și Încredere Association and a host of partners and media partners, proving that consistency and passion can do miracles even where indifference usually wins. Iași has a remarkable potential for choral events that could also be turned into tourist attractions. Everybody get ready in time! Previous Post: Interview with Gyöngyösi Levente, Inspiration is a strange concept….